Regular veterinary visits are important to your cat’s health, but these visits often become a hassle for you and a nightmare for your cat. Fortunately, there are some steps that you can take to make veterinary visits easier for both of you. A secure cat carrier is an absolute necessity for transporting your cat. Transporting your cat without one can be dangerous for both of you. However, simply throwing your cat in the carrier and heading out the door is not a great idea either. Prepare your cat for the next veterinary visit in advance by making sure their carrier is a safe, secure place. Start by placing the carrier where your cat can enter and exit at will. Arrange a soft blanket or bed inside to make it comfortable. Try using treats to entice your cat to enter it, or even feed them regular meals in the carrier. You can also spray Feliway inside the carrier to make it more desirable. You can even use catnip to encourage your cat to go in the carrier, too. Once your cat is accustomed to the carrier, consider taking your cat to the vet for a “get acquainted” visit. 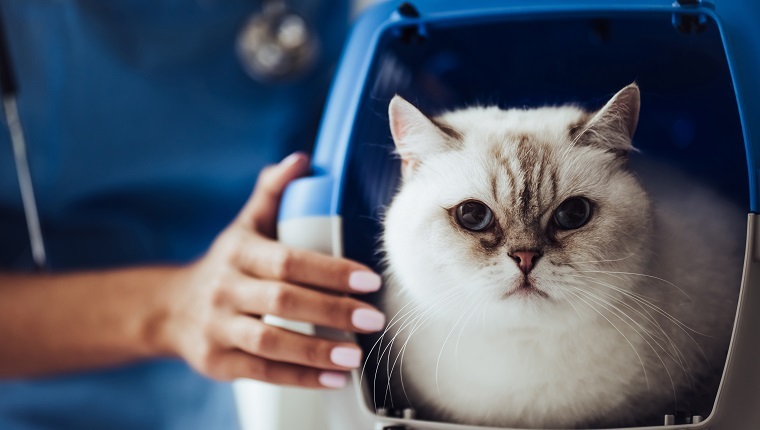 This will give your cat a chance to get used to the office without associating the hospital with injections and other unpleasant experiences during each visit. Talk to the hospital staff to find out if there is a slow time during the day when your visit will not be disruptive. Staff members may even be able to spend some time making friends with your cat. You can find a highly-rated cat carrier on Amazon here! Ideally, the veterinary hospital will have a separate waiting area for cats. Take advantage of this area, if available, so that your cat does not have to experience contact with dogs or other unfamiliar pets in the waiting area. If such an area is not available, a towel draped over your cat’s carrier will block their view while you wait. Most hospitals that cater to cats will try to keep the time spent in the waiting area as short as possible. You should move to an exam room with your cat as soon as practical. Once in the exam room, your cat should be allowed to exit the carrier voluntarily if they are willing. As long as the exam room is secure and your cat cannot escape, you may allow them to explore the room. If your cat doesn’t exit the carrier willingly, having a carrier that disassembles so that the top of the carrier can be removed will make handling your cat easier for veterinary staff members—and less frightening for your cat—than being pulled through a small cage door or “dumped” out of the cage. Look for a veterinary hospital whose staff is gentle and patient with your cat. They should be experienced in dealing with cats of any personality type. If your cat is overly frightened, sedation for the examination may be an alternative worth considering. 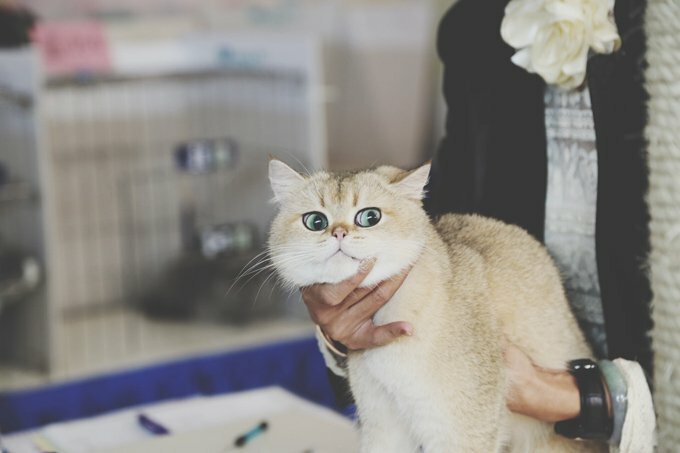 How do you keep your cat calm during vet visits? Let us know in the comments below!